Visit Hamiltons RV to start your RV adventures! As one of the top Michigan RV dealers, you'll enjoy exceptional customer service and incredibly low prices! 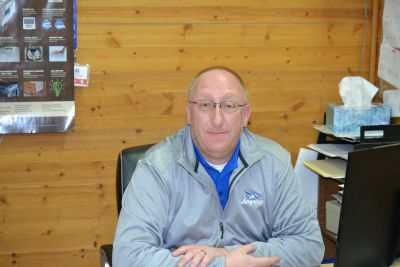 Stop by our lot at 1580 Tittabawassee Saginaw Michigan 48604 or call us at 989-752-6262 to talk to one of our RV experts! 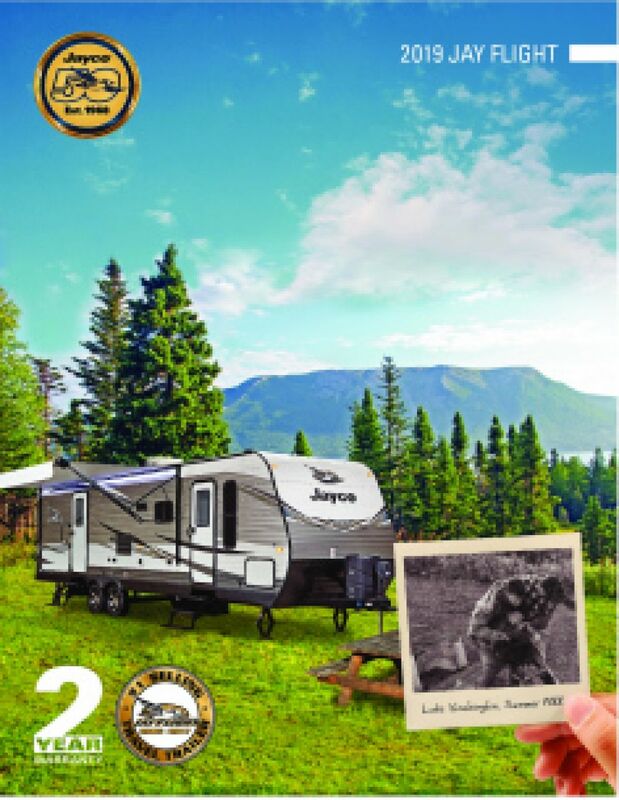 Your family will have a blast in this New 2019 Jayco Jay Flight 33RBTS! Just like you, this Travel Trailer ready for adventure! You'll get up and go whenever you choose in the 37' 8" long, 8' 0" wide 2019 Jayco Jay Flight 33RBTS because it has a very towable hitch weight of 915 lbs. You'll be able to enjoy some shade under the 20' 0" patio awning! The rugged GVWR rating of 10950 lbs. means this RV will give you years of fun! 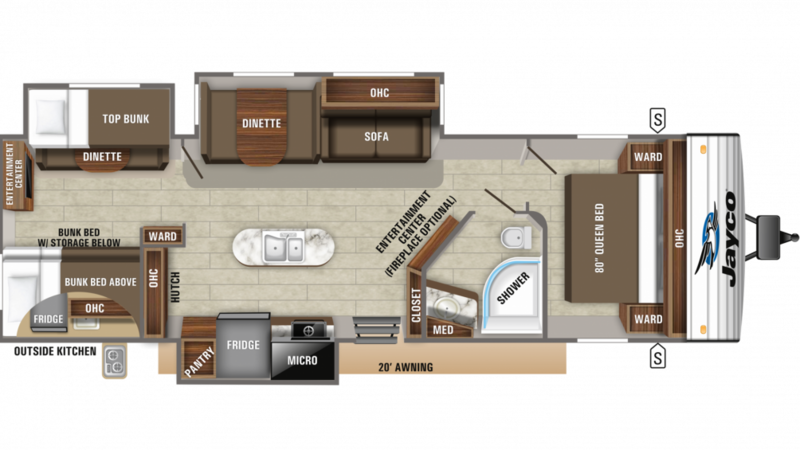 Enjoy ample legroom inside this 37' 8" long, 8' 0" wide, and 11' 3" high RV, with its 3 slides. Fight the wild temperatures outside with the 35000 BTU furnace and the 13500 BTU a/c. The master bedroom in the 2019 Jayco Jay Flight 33RBTS is a sight to behold! It's handsomely furnished and includes a roomy Queen bed that will ensure a great night's sleep at the end of every fun-filled day! If you love to cook up great breakfasts, lunches, and dinners for the fam, but have found it challenging on the road, then you'll love the modern kitchen in this Travel Trailer! It has a full suite of appliances, including a 3 burner range cooktop, 8.00 cu. ft. refrigerator, and more! And clean up's a breeze, thanks to the big 80 gal. freshwater tank and generous 60 lbs. of LP tank capacity that'll supply plenty of hot water throughout your trip! The gross campground bathroom can be completely avoided, thanks to the Porcelain Foot Flush toilet and the shower in the 2019 Jayco Jay Flight 33RBTS bathroom! You'll have plenty of hot water with 60 lbs. of LP tank capacity! Used water and waste are stored in the 39 gallon gray water tank and the 39 gallon black water tank, respectively. The bunkhouse in this Travel Trailer offers another great sleeping accommodation for family or friends at the end of the day! The cozy Bunkbeds are warm and snug, and the kids especially will love climbing in and drifting off to dreamland! You don't need to go in and out of the RV to enjoy a tasty treat outside! Just grab a snack or make a meal with the outdoor kitchen!